Expert Truck Dismantlers and Sales of Co Galway specialise in the dismantling and recycling of heavy commercial trucks and lorries. They stock a huge selection of quality and competitively priced second hand parts, all ready for immediate sale. Proprietor Padraig Smyth gave Irish Trucker & Light Commercials the lowdown on his burgeoning business. 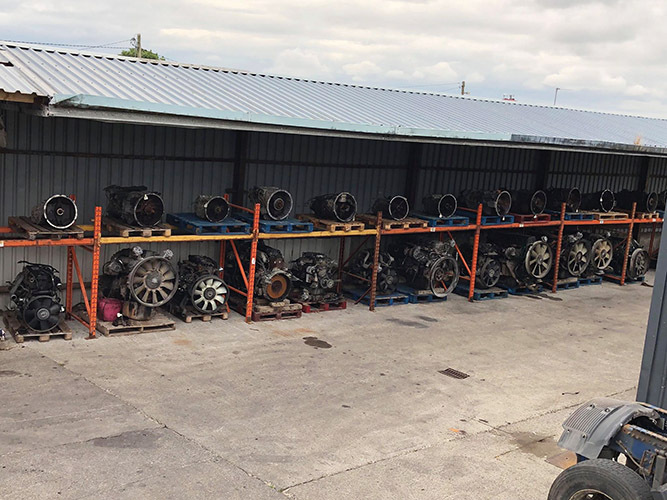 Despite being just in existence for a year, Expert Truck Dismantlers and Sales have quickly established themselves as one of Ireland’s leading truck dismantlers, specialising in second hand used parts and trucks. Trucks are dismantled for speedy dispatch and they also offer a warranted reconditioning service on HGV differentials, gearboxes and steering box. They supply only quality commercial trucks, parts and services and their team of professionally qualified staff are trained to provide an efficient and reliable service to their customers. They stock a wide range of reconditioned units on the shelf. They also buy trucks for export and dismantling and deal in all makes and model trucks from 3 1/2 tonne upwards around the world. Padraig Smyth set up the business and, reflecting on its origins, he reveals that he came across the idea for the dismantling enterprise by accident rather than design. “My father (Martin) owns a waste disposal and transport company (Evergreen Field and Smyths Transport) and I grew up in the family businesses. Driving, buying and selling is in the blood. Padraig and his team dismantles trucks daily in their workshop, to keep the inventory up-to-date and to provide an affordable alternative to new parts. By this way of working, they comply with the wishes of their customers and try to renew their stock constantly. This enables them to provide a large variety of top quality affordable second-hand trucks and parts. They dismantle most makes and models of modern HGV from 3.5 Tonne upwards. They are specialists in used parts for Volvo, DAF, Man, Iveco, Scania, Merc and Renault. Speedy service is guaranteed with next day delivery in Ireland. Due to popular demand, they now ship worldwide at very competitive prices. All parts can be shipped via courier or pallet. They have extensive experience in worldwide export of truck parts, offers professional expertise, fast service and the best price. They arrange everything, from transport to export documents, including port-to-port transportation in containers with all relevant documentation. “Business has really taken off,” answered Padraig when asked: how business has been of late. “We pride ourselves on supplying our customers with good, quality second hand parts. The good quality stock is up on our shelves, the bad quality stuff is dumped. “Next day delivery is also a key selling point for us. We bring a lorry in, chop it down immediately, get the parts off it and ready to go. If we get a phone call from a customer requesting a part, we can get it off the shelf, wrap it up and they ‘ll have it the next day. “Langan Couriers look after our pallet deliveries in the Republic while we use DPD to cover parcels in Ireland/ Northern Ireland and England. We’ve also exported parts to Africa and Malaysia in the past. With the business humming along nicely, growth is the next exciting challenge on the horizon for Expert Truck Dismantlers. There are ambitious plans in the pipeline for further expansion. If you require a part, don’t look further than Expert Truck Dismantlers and Sales. 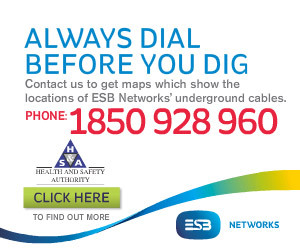 Padraig and his team will be delighted to hear from you. They stock all makes of quality second hand truck parts and their brands are some of the best known in the world, manufactured to the highest possible standards.